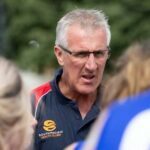 Buy Phentermine White Pill Blue Specks Port Melbourne has entered the top 4 with just one round to play in season 2016, after overcoming Frankston by 46 points in a regulation victory at Frankston Park on Sunday afternoon. http://www.daviddalegallery.co.uk/buy-clonazepam-next-day-delivery The importance of the contest was not lost on coach Gary Ayres entering the clash, as he had swung the changes at the selection table; welcoming Fabian Brancatisano, Hugh Sandilands, Nick Dixon, Blake Pearson and Mitch Hayes back from Development League level. https://www.beachgroupflorida.com/43348779 After suffering a disappointing loss to ladder leaders Collingwood last week, the Borough were searching for a fast start against the Dolphins as they commemorated their final home game for the year in front of their traditionally parochial home fans. Following an initial arm wrestle, the Borough did indeed gain the early ascendancy they were craving, slamming through four goals in a matter of nine minutes which helped them clear out to a 16-point lead at the first change. The second quarter was highlighted by small forward Billy Hogan (pictured) continuing to assert his presence on the game, as he soccered through a remarkable goal from 30 metres out and took his overall tally to four at the midway point of the term. Order Phentermine 37.5 From Mexico That eye-catching effort was nestled amongst a string of Borough goals, as they attacked and defended in equally impressive fashion to enter the rooms at half time with a whopping 10-goal lead in their keeping. Buy Cheap Diazepam From India With the race for ladder positions heating up in the penultimate round of the season, percentage would become an all-important element in motivating the players through the second half despite the result itself being basically beyond doubt. 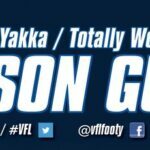 The Borough seemed to relish the challenge of attempting to bury Frankston in the early stages of the third, slamming through three more successive goals and extending their buffer to as much as 79 points as the rain began to tumble at Frankston Park. However, just as memories were being revived of Port’s record 146-point winning margin over Frankston the last time the two sides had met, the Dolphins stepped up a notch and began hitting the scoreboard in a bid to add a degree of respectability to the end result. They were certainly successful in doing so, as they went on to boot seven goals-to-two over the course of the final stages of the game. 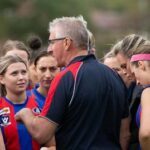 Eventually, after a noticeable lapse in intensity, Port Melbourne had prevailed at the final siren by 46 points; 16.8.104 to Frankston’s 8.10.58. It wasn’t a sterling rendition of the famous ‘Grand Old Flag’ theme song, and the players were then subsequently put behind closed doors once the celebrations were complete – in order to try and dissect what part of their team structures had fallen down so dramatically in the second half. The indifferent mood in the rooms soon brightened as news spread that Richmond had prevailed over Sandringham at Trevor Barker Oval, meaning that the Borough had done enough to officially enter the top 4 by Sunday night. Individually, Brody Mihocek and Sam Crocker were familiar names to be listed amongst the best players again, whilst Guy Dickson (two goals) impressed with several nice marks, and Toby Pinwill and Shannen Lange each won plenty of the footy through the midfield. Billy Hogan’s four first-half goals were enough for him to lead the side’s goal kickers. He was joined by Jordan Lisle and Pearson, who each contributed three. Earlier in the day, the Development League completed their remarkable recovery from a 0-4 start to the year by officially cementing themselves in the finals with an easy 66-point win over the Dolphins. The side was never threatened at any stage, opening up a buffer similarly comfortable to the Seniors early on in the game and cruising to victory. There were plenty of contributors right across the ground, with Sam Bennett, Alex Urban, Scott Clarke and Steve Murray all among those to stand out. The win means that the Development team are now currently entrenched in 3rd position on the ladder, with another crucial game to come against fellow finals aspirant Coburg at the Whitten Oval on Sunday at 2:40pm. That game will follow what is sure to be a hotly contested Senior affair, as they clash with Geelong at 11:40am. The result will ultimately determine whether or not the Borough are able to hold on to their current ‘double-chance’ position inside the top 4, with the Cats also gunning for that position after knocking off the high-flying Casey Scorpions yesterday. 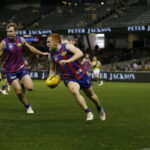 With the destiny of the double chance now firmly in the hands of Port Melbourne, this will be a game not to be missed. Members and supporters who are unable to get to the transferred home game at Whitten Oval on Sunday are encouraged to tune in to live coverage of the game on Channel 7 from 11:30am. Goal Kickers: B. Hogan 4, B. Pearson 3, J. Lisle 3, G. Dickson 2, T. Pinwill, C. Cain, D. Mascitti, F. Brancatisano. Best Players: B. Mihocek, G. Dickson, T. Pinwill, S. Crocker, S. Lange, B. Hogan. Goal Kickers: S. Clarke 3, S. Murray 3, S. Bevan 3, A. Urban 2, M. Lee 2, J. Halsall 2, R. Hogan 2, D. Iaccarino, A. Spencer. Best Players: S. Bennett, A. Urban, S. Clarke, J. Purcell, D. Iaccarino, L. Waddell. https://futuresensefoundation.org/uncategorized/s2lmaqk Image credit: Jenny Tserkezidis.